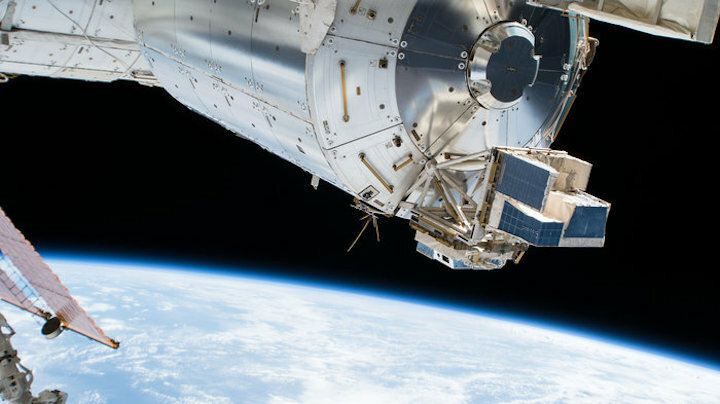 This week ESA is highlighting space weather, so let us start with the Atmosphere–Space Interactions Monitor (ASIM) that was installed outside Europe’s Columbus laboratory on the International Space Station last year. This suite of instruments monitors high-altitude lightning phenomena with unprecedented accuracy. It is the most sensitive x- and gamma-ray instrument flown in space and monitors Earth in a broad electromagnetic spectral range with microsecond accuracy. The space-based storm hunter is working extremely well and exciting results are expected soon. Some of ASIM’s sensitive instruments only record at night-time, during the week of 16 February, the Space Station flew with an orientation that placed the Sun in ASIM’s field of view for extended periods. This restricted its night-time viewing possibilities to only 20 minutes per orbit. 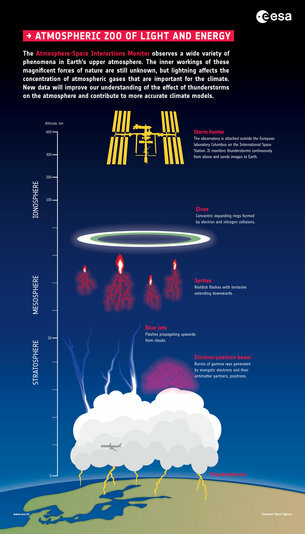 Even though these luminous lightning events occur at high altitudes, they are not actually considered “space weather”. However, ASIM does have a trick up its sleeve. In the future, its Brussels, Belgium-based operators, will occasionally direct the storm hunter’s attention to monitor Aurorae. This is part of ASIM’s “secondary science” goals and its equipment is well-suited and perfectly placed to observe the dancing lights caused by electromagnetic radiation hitting Earth’s atmosphere. Inside the Space Station many automated European experiments continued to collect data over the past two weeks. The Dosis-3D dosimeters dotted around the outpost that passively keep track of the cosmic radiation quietly did their thing. Meanwhile the Electromagnetic Levitator was fired up for another round of weightless metallurgy. The facility was pumped with helium on 25 February for a number of cycles of heating and cooling ferro-boron alloys to understand and improve casting of this metal for industrial applications on Earth. NASA astronaut Anne McClain swapped the flash discs that record valuable scientific data for the Sodi-DCMIX experiment that then ran throughout the week of 18 February. This experiment looks at how fluids and gases behave in space. Molecules are constantly moving and colliding even though there is no microscope powerful enough to see the movement. Scientists are interested in observing and measuring how these movements, combined with temperature changes, lead the fluid’s constituents to redistribute themselves. A number of facilities were prepared to start new batches of science runs in the coming weeks. 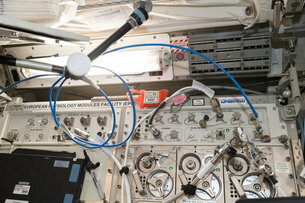 Russian commander of the Space Station Oleg Kononenko familiarised himself with the Roscosmos–ESA plasma laboratory PK-4 and the Fluid Science Laboratory worked on the Soft Matter Dynamics experiments. The third experiment for Europe’s commercial facility inside the Columbus laboratory continued to operate in its ICE Cube and Canadian astronaut David Saint-Jacques prepared the mini-computers called AstroPi for the start of the Astro Pi challenge.